The new 7-passenger crossover is now bigger, lighter, smarter and faster than the previous version, with a refined cabin, greater functionality, and a better driving experience. 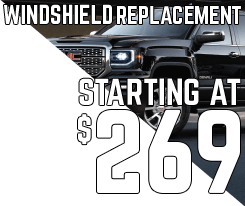 And now you can get it in Avenir trim level, similar to the GMC's Denali, which ads exclusive interior and exterior features. 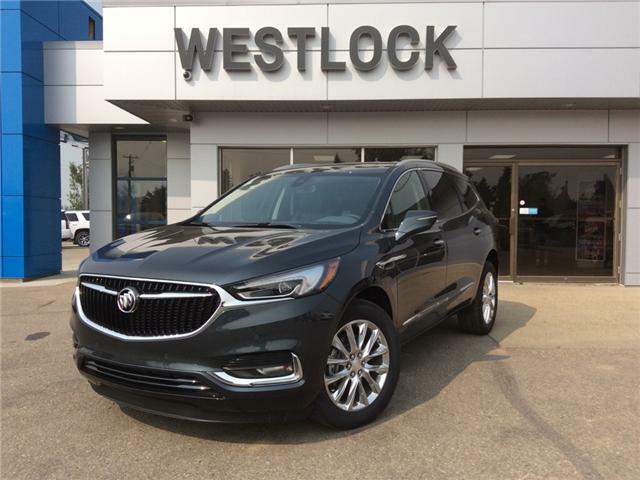 Find your new midsize SUV at Westlock Motors. 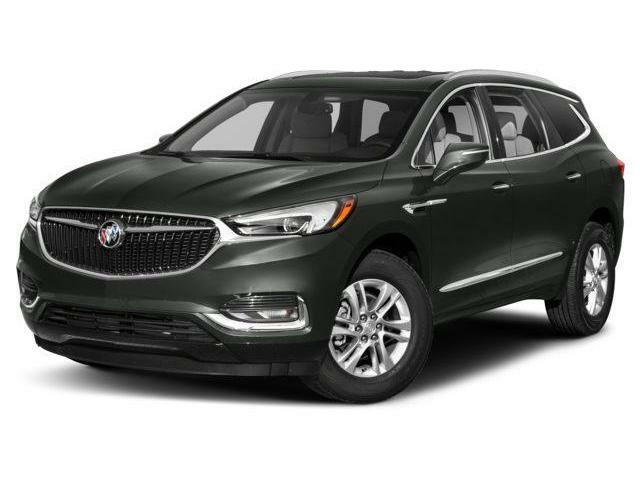 Meticulously crafted premium materials like leather-appointed seating, warm wood tones, and brushed chrome accents come together to delight all of your senses aboard the 2018 Buick Enclave. Even the features you don’t see, like the available cabin air ionizer, help you take a deep breath and unwind. 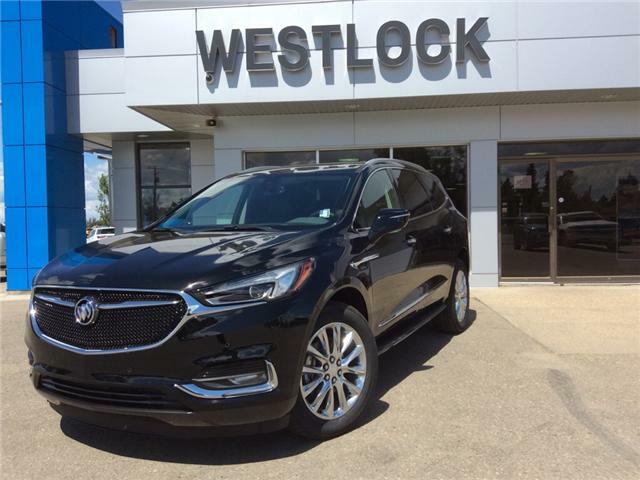 Moon-white lighting creates a warm, inviting driving experience with soft, ice blue hints that see to it that all the all-new and luxurious 2018 Buick Enclave’s beautiful details leave you with a lasting impression. QuietTuning® technology helps keep outside noise outside so you’re left with the ideal environment for conversation in your all-new Enclave SUV. The triple door sealing, acoustic laminated glass, and specific suspension tuning combine to quiet noise from the road, wind and other vehicles to make sure nothing interrupts you and your passengers’ time together. Engine noise and vibrations are blocked from the cabin using hydraulic engine mounts, premium engine-side acoustics and a sound-absorbing dash mat. With a simple pull of a lever, SmartSlide® second-row seating gives you and your passengers quick, convenient access to the third row. At the push of a button, effortlessly lower and raise the third row or split third row seating for the kind of cargo flexibility and convenience your on-the-go, in-the-moment life demands. And, with rear seat reminder, under certain conditions,* you’ll be prompted to double check the back seat before leaving the all-new 2018 Buick Enclave. From first-glance to lingering looks, the all-new luxury Enclave SUV arrives in dynamic style and sculptural beauty designed around you. The all-new Enclave announces its arrival with an elegant signature front grille design. Wherever the road takes you, you will get there in stunning style. Winged headlamps provide a dramatic look while LED signature lighting add style to the all-new Enclave SUV’s gracefully sculpted surface. At the touch of a button, tilt or slide all-new full-size Enclave SUV’s available power-front sunroof to give your passengers the moon, the sun and the sky—or at least a longer look at them. The convenience of all-new Enclave’s new hands-free liftgate lets you load, unload and access your cargo area with a simple kick of your foot. And LED illumination marks the spot, making the activation an easy one. From cross walks to lane changes, driveway obstacles to the drop-off lane, your drive can be full of surprises. That’s why the all-new Enclave offers a comprehensive suite of available advanced safety features to help keep your peace of mind top-of-mind. Safety features are no substitute for the driver’s responsibility to operate the vehicle in a safe manner. The driver should remain attentive to traffic, surroundings and road conditions at all times. Read the vehicle Owner's Manual for important feature limitations and information. Available Front Pedestrian Braking helps to alert you to a detected pedestrian directly ahead with an amber icon. If a collision appears to be imminent and you have not already applied the brakes, the system alerts you with a flashing red windshield display, eight high-pitched beeps, or if equipped with the available Safety Alert Seat, the driver seat cushion may provide a vibrating pulse alert instead of beeping. If necessary, it automatically applies the brakes to help reduce the collision’s severity or even avoid the collision. The all-new 2018 Buick Enclave helps you get confidently and safely underway – and see driving in a whole new way with available Surround Vision. A virtual 360-degree overhead view of what’s around your vehicle helps reduce blind spots and avoid unseen obstacles during low speed maneuvering. Meanwhile available Rear Cross-Traffic Alerts help to get you going in reverse with clear left or right caution alerts in your centre console display. The driver is either notified with audible beeps or an available Safety Alert Seat vibrating pulse in the driver seat cushion if cross traffic is detected within 20 metres (65 ft.) to the left or right. And, a rear camera cleaner helps you to have a clear view of what’s behind. Inspired by our stunning Avista concept design, upper and lower grille texture with Black Ice finish and unique chrome wings distinguish the premium first-ever Enclave Avenir trim. The scripted badge on the first-ever 2018 Enclave Avenir is a distinctive cue that signals an elevated level of style and sets Avenir apart. The first-ever Buick Enclave Avenir’s unique 20-inch cast aluminum wheels with premium Pearl Nickel finish create a dynamic, elegant presence. The first-ever luxury Enclave Avenir arrives with an exclusive Chestnut interior theme with Ebony accents, creating a harmonious and welcoming environment. The unique steering wheel décor is accented with exclusive real wood for another touch of luxury. The first-ever Enclave Avenir features embroidery on the front-row seats that delivers a first-class atmosphere. The 8-inch reconfigurable Driver Information Centre display offers preference-based view options and puts important information in your line of vision. 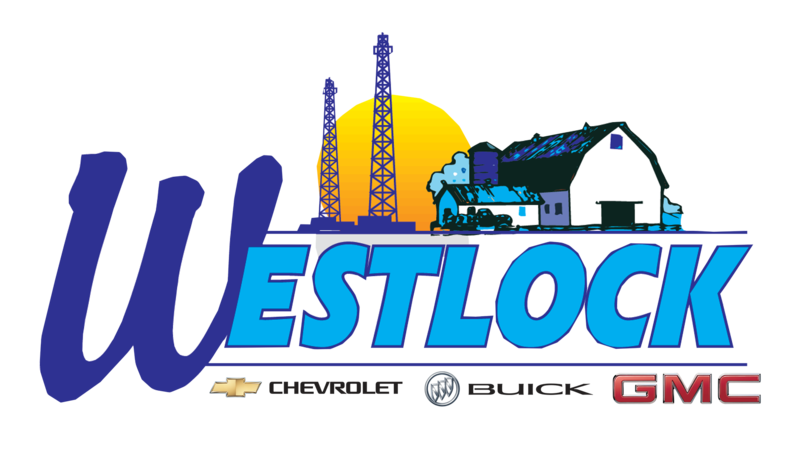 By submitting your email address or phone number, you allow us, Westlock Motors, to include you on our contact lists to send you information about our products, services and promotions. You may revoke consent at any time by clicking on the "Unsubscribe" link in your email.